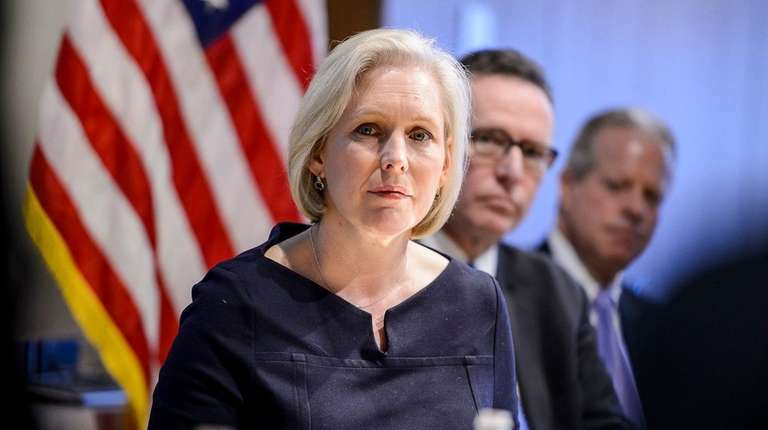 Sen. Kirsten Gillibrand introduced a bill Thursday that would require the U.S. Environmental Protection Agency to set drinking water standards for a probable carcinogen and certain other contaminants or compounds. The bill would amend the Safe Drinking Water Act and force the EPA to regulate the probable carcinogen 1,4-dioxane, two perfluorinated compounds that affect the immune system, and perchlorate, which disrupts the thyroid. The bill has been referred to the Senate Committee on Environment and Public Works, of which Gillibrand (D-N.Y.) is a member. Representatives of other senators on the panel did not respond to requests for comment Friday or to the question of whether the bill would be called for a hearing. President Donald Trump has pledged to increase defense spending and reduce other spending, including at the EPA. The two senators said it is necessary to press the agency into action and to do so in a transparent way, so that people are aware of what is in their drinking water. “We’ve seen very clearly how much damage can happen to our local drinking water supplies when toxic chemicals . . . aren’t monitored by the EPA,” Gillibrand said in a statement. Every five years, EPA requires all large water suppliers and a sampling of smaller suppliers to test for up to 30 contaminants that are not regulated. It’s one way the EPA gauges how prevalent a contaminant may be, and if it needs to be investigated further or if a drinking water standard should be set. The most recent testing included 1,4-dioxane and the compounds known as perfluorooctanoic acid, or PFOA, and perfluorooctane sulfonate, or PFOS. Long Island’s drinking water supplies detected perfluorinated compounds in Westhampton Beach, and 1,4-dioxane was found in trace amounts in 36 of 38 water suppliers sampled. More than 70 percent of those sampled had detections of 1,4-dioxane at a 1-in-1 million cancer risk after prolonged exposure. Perchlorate was part of the EPA sampling conducted between 2001 and 2003. In 2011, EPA said it would regulate the chemical, but the process stalled. The Natural Resources Defense Council, or NRDC, an environmental group, successfully sued the EPA in February 2016 and finalized regulations are required by 2019, said Mae Wu, a senior attorney in the defense council’s health program. Manhattan attorney Lawrence Schnapf said the proposed legislation was not a surprise. “There have been instances in the past when Congress enacted very specific instructions to EPA because it was not confident that [an] administration would not enact requirements without ‘hammers,’ ” he said. Last month, Gov. Andrew M. Cuomo, along with the state’s health and environmental conservation commissioners and local leaders on the Island, urged the EPA to set a drinking water standard for 1,4-dioxane. 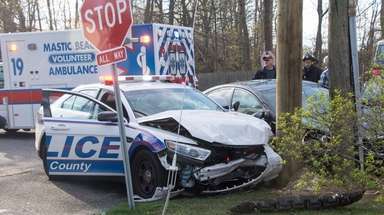 Without that action, Cuomo said the state would work to set its own regulation. “We are standing together at all levels of government to call for consistent, national guidance that equitably protects not just New Yorkers, but all Americans,” Cuomo spokesman Leo Rosales said Friday in an statement.